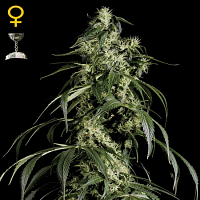 Ice Kush Feminised by Advanced Seeds is a fast flowering variety that offers a number of desirable growing traits. 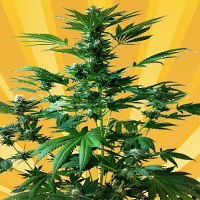 Producing yields of up to 450g/m2, these popular cannabis seeds can grow to heights of 120cm when grown outdoors. 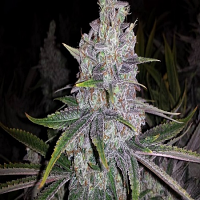 Providing an early harvest at the end of September, these high quality seeds will not disappoint when it comes to producing large leaves, thick buds and a good resin production. 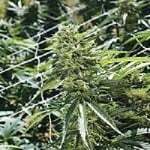 These marijuana seeds also flower extremely quickly within 7 to 8 weeks. 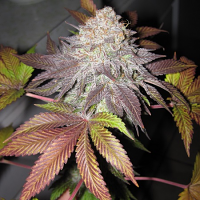 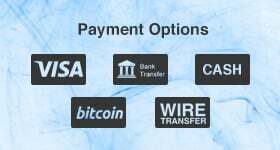 Here at Sensible Seeds, we have a wide range of cheap marijuana seeds for sale, including Advanced Seeds Ice Kush Feminised.